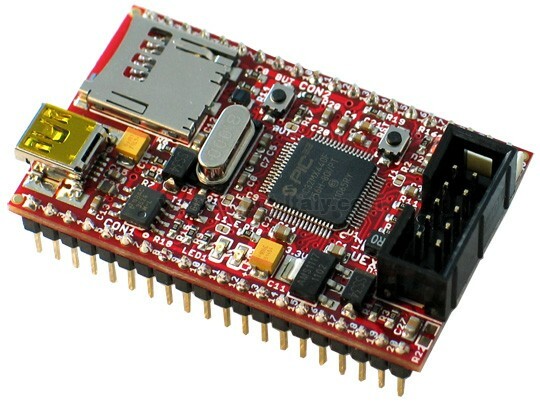 miniICSP connector 0.05"step if you do not want to use Pinguino IDE and want to program this board with PIC-ICD2-POCKET or PIC-KIT3 you should use also PIC-ICSP convertor board, same apply for Microchip programmers. 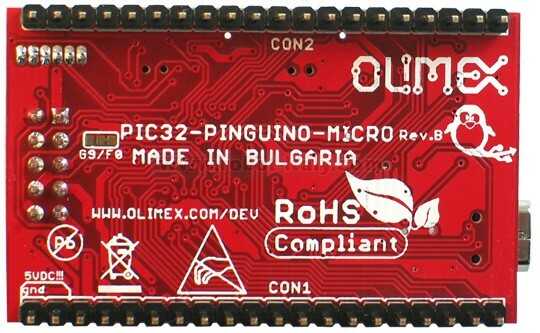 Do not use "programmer-to-go" button when there is no image on the OLIMEX PIC-KIT3 or MICROCHIP PIC-KIT3 or that might put your microcontroller in an inrecoverable state. 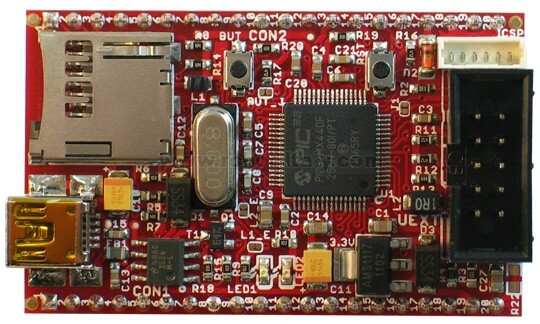 We have tested the mentioned scenario and we can confirm it destroys PIC32 chips (using both our and the original Microchip PICKIT3). We don't take responsibility if you brick your chip that way. 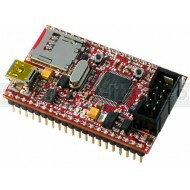 For more info check the following: www.microchip.com/forums/m635420.aspx.